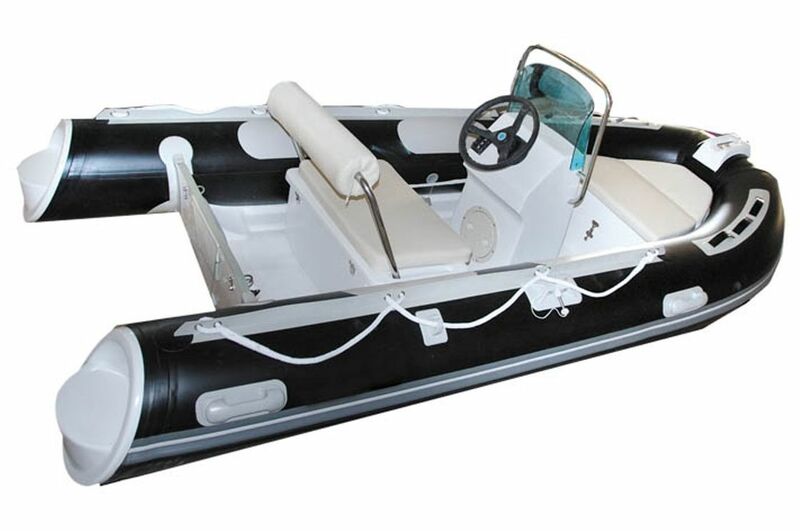 This is the small tender Oceanrunner 350 deluxe console RIB packaged with a seat and backrest and console has a custom SS rail and included fitted side seat..
The350 has a few updates starting in 2012 with rounded end tubes and new rub rail. This small boat is the best tender for the big yacht followed . You can be any where for boating on the sea . The boat is a great performing boat and a great value. center console with cushions(including windshield,4 point switch ,oil gauge), seat box(with cushions and SS frame roll) , bow box,steering system, paddles , boat cover , foot pump , Repair Kit . 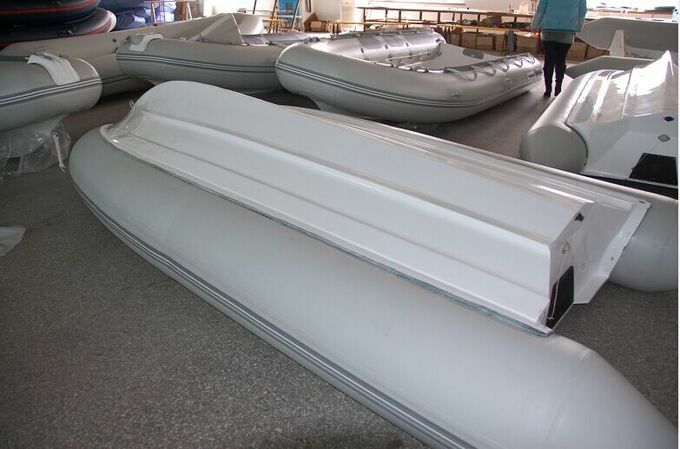 316SS light arch with navigation lights, Fiberglass step ends , canopy , boat trailer , etc.